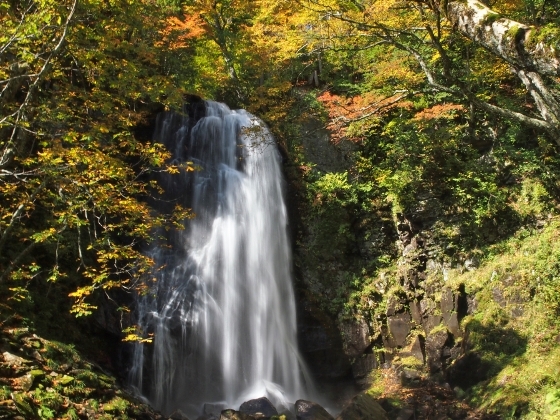 Photo above was an autumn view of Onogawa Fudo Falls at Urabandai, Kitashiobara Village as of today. The waterfall was about 40-meter high and was magnificent with its close-up view surrounded by autumn colors. 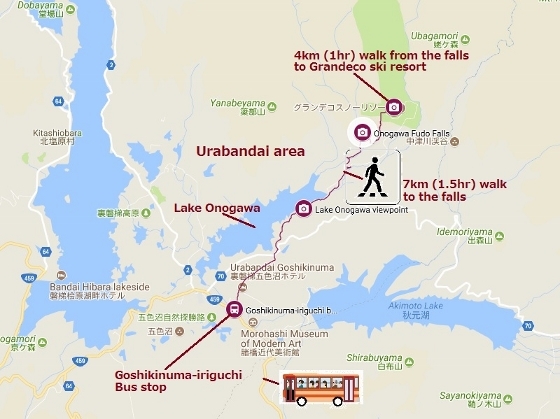 Trail entrance to the falls is located about 6km from Goshikinuma-iriguchi bus stop which is about 30-minute local bus (Toto Bus) ride from JR Inawashiro Station. Onogawa Fudo Falls is about 1km or 20-minute walk from there. The waterfall which is a part of the Onogawa River flows into Lake Onogawa. 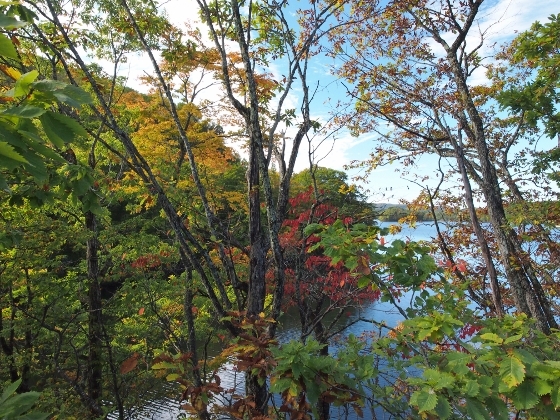 On the way to the falls along the edge of Lake Onogawa I found a colorful viewpoint of the lake as shown above. 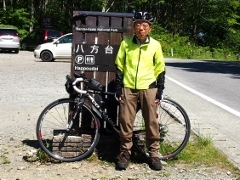 I walked another 1km along uphill trail to Grandeco ski resort. 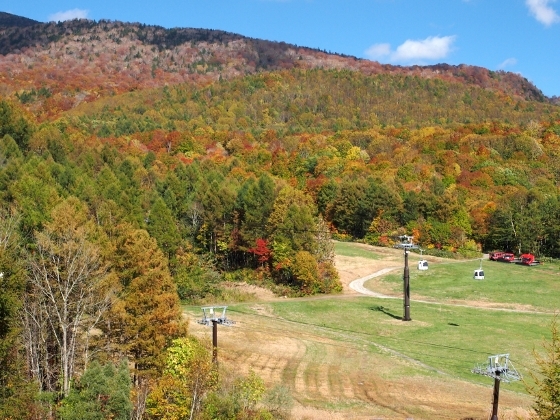 There I found a fantastic autumn mountain view with sightseeing gondolas moving along the slope as shown above.